The death took place on May 8th, at her residence, The Orchard, Ballasalla, of Mrs Charlotte Cubbon, wife of the late Mr Thomas Cubbon, of The Priory, Douglas, at the advanced age of 84 years. The deceased lady lived for most of her life in Douglas, where her husband was very well known as one of the most prosperous tradesmen of the town, and also a leader in social and philanthropic movement; as well as being the secretary and deacon of Finch Hill Congregational Church, and one, of the founders of the Douglas Board of Guardians. Few men served their generation better than Mr Thomas Cubbon. Mrs Cubbon was a Miss Kelly (formerly of Trollaby, Marown), and had for sisters the late Mrs Dalrymple, of Union Mills; the late Mrs Hutchinson, of Albert-terrace; and Mrs Cain, of Onchan. Her brothers were the late Mr J. T. Kelly, of Castleward, and the late Mr W. T. Kelly, of Peel. Mrs Cubbon's family was a fairly large one. The sons are Mr Alfred Cubbon, Mr Tom Cubbon (architect of Noble's Hospital, Cullin's Hill), the Rev Harry Cubbon, M. A., of London; Mr W. C. Cubbon, of Ballasalla Gardens; and Mr Jack Cubbon (architect, of Manchester). The daughters are Miss Charlotte Cubbon, who lived at home, and Agnes, the late wife of Mr Philip Christian, J.P. For many years Mrs Cubbon was an invalid, but had enjoyed fair health since residing in Ballasalla. She will be greatly missed by a. large circle of relatives and friends. The funeral ceremony was largely attended, the interment being at Kirk Braddan Cemetery. A service was also held at the residence, and was conducted by the Rev H. Cubbon. Greatly respected and much esteemed was Mr John J. Dean, of Albany-road, Douglas, whose death took place on Thursday, May 31st, at Hoylake. Mr Dean, who was the younger son of Mr George A. Dean, photographic artist, of Rugby (formerly of Douglas), caught a chill about a fortnight ago as the result of a long wait at a railway station, following upon a hurried walk. Pleurisy developed, and there were other complications which proved too, much for a constitution none too robust. His condition gradually grew worse, and eventually he succumbed. Mr Dean was of sunny disposition, and was a great favourite with a. large circle of friends. He took a great interest in the welfare of St. George's Church, Douglas, he being, a regular worshipper there. For any years he was a sidesman, and he was one of the hon. secretaries of the Freewill Offering Fund in connection with the church. Before the war he represented the Isle of Man the firm of Samuel Hanson and Son, wholesale grocery dealers, but upon the establishment of the enemy alien detention camp at Knockaloe he was appointed as assistant to Capt. Cowle, the construction officer at the Camp. About two months ago he secured an important business position in the Liverpool district-representative of the Anglo-American Oil Company, and pending arrangements for the transfer of his home from Douglas, he became temporarily resident in Hoylake, though his family for the time being continued to live in Douglas. Mr Dean leaves a widow and two young children. Mrs Dean is one of the daughters of the late Mr S. J. Bamber, professor of music, Douglas. The body of the deceased gentleman was brought to Douglas by steamer on Saturday, and the funeral took place on Sunday morning, there being a very large attendance. The mourners were: Mr George A. Dean (brother), Miss Dean (sister), Mr Harry Bamber (brother-in-law). The bearers were Messrs F. R. Grundey, G. J. Maley, D. S. Hosie, and R. L. Clague. Mr William Cowin, an old and respected resident of Douglas, died at Port St. Mary on Aug. 5th, at the age of 76. About two years ago Mr Cowin had a seizure, which seriously affected his health for some considerable time, and though he made a nice recovery, his activities were much reduced, and for the remainder of his days he was, more or less, under medical care. Another seizure overtook him early this year, and incapacitated him to the end. A few weeks ago he proceeded to Port St. Mary for the benefit of his health, and for a period made favourable progress, but eventually he had a relapse and gradually sank until death overtook him. Mr Cowin was country-bred; one of his brothers was the late Mr James Cowin, of Camlork, and another is Mr John Cowin, of Ballaquinney, Marown. After serving his apprenticeship as a draper, Mr William Cowin. entered into partnership with the late Mr Walter Shimmin, and under the style of Cowin and Shimmin the firm carried on business as general drapers in Duke-street, Douglas. Subsequently Mr Cowin conducted the business on his own account, and eventually removed to Victoria-street, where he occupied the premises afterwards taken by Mr George Robertson. On Messrs Archer and Co. giving up business, Mr Cowin secured the main portion of the premises at the corner of Victoria-street and Duke-street, where he for several years conducted with great success a ladies' outfitting establishment. Simultaneously he had a branch shop in the Victoria Pier Buildings, in which he did a large fancy goods trade. He retired from business about five years ago, and has since lived privately. About two years ago, Mr Cowin, in company with his daughter, made a tour of North America. His wife, who was a Miss Craine (daughter of the late Mr J. Craine, grocer, Douglas), predeceased him last year. Mr Cowin leaves one daughter, Miss Cowin, and four sons, John and William Stanley, in London; Frank, in Douglas; and Cecil, now serving with the forces. Another daughter, the wife of Mr Oscar Ward, draper, died in Douglas several years ago. Though of a retiring disposition, Mr Cowin took considerable interest in public affairs. He was elected a member of the School Board of Douglas nearly thirty years ago, and retained his membership to the end. He was a very ardent educationalist, and bore a prominent part in the establishment of the Douglas Secondary School. For several years was chairman of the Management Committee of the Douglas School Board, and he was also a member of the Higher Education Board for the Eastern District. A gentleman of charitable disposition, he was a warm and liberal supporter of efforts for the amelioration of young people; he was hon. treasurer of the Boot and Clothing and Douglas Hotpot Fund and was connected with many of the charitable associations in the town, his purse being ever at the disposal of these movements. He was a member of the Established Church, and a very loyal one at that. For very many years, up to last Easter, he was people's warden of St. George's Church, Douglas, and there was no more generous contributor to the funds of that church than Mr Cowin. Though a teetotaler and a warm friend of the temperance cause, his support of the movement was of the passive description, he being constitutionally averse to active propaganda. In private life he was a most genial gentleman and a vastly pleasant companion. His secret benefactions were large, and he will be greatly missed in the town. The funeral took place in St. George's Churchyard on August 8th. The mourners were:  Messrs John, William Stanley, and Frank Cowin (sons), Mr and Mrs R. Sim, Mr Cowin (Ballaquinney), Mr John Cowin (Ballanayre), Mr Kelly (Kirk Bride), Mr W. Christian (Ballacorey, Andreas), Mr and Mrs Caesar Corlett (Ballamenagh), Mr W. Cowin (Ramsey), Mr James Craine (Laxey), Mr Percy Pedder, Mr Ed. Callister, H.K. (Ballavitchal,), and Mrs Callister, Mr Joseph Scarffe. It is with regret that we announce the death of Mr John Gawne, which took place on Monday, August 13th, at his residence, No. 344 Harrison-street, Oak Park, Chicago, U.S. A. The deceased, fifty-one years of age, was the son of the late Thomas and Jane Gawne of Fistard, Port St. Mary, at which place he was born, and brother to the late William Gawne, who died at No. 12 Eastfield, Douglas, in March, 1916; also brother of the late Thomas Gawne, Oneida, New York, U.S.A. He is survived by his widow (Mrs Tillie Gawne) ; and by two sisters  Mrs Martha. Gawne Taubman, Oneida, New York; and Mrs Jane Gativne Sparrow, Chicago. A sad feature of Mr Gawne's death was the absence of his wife at the time. 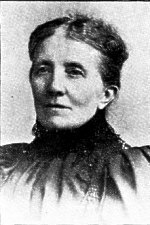 Mrs Gawne was attending the funeral of her mother at Minneapolis. Minnesota, when she received a telegram announcing the death of her husband. Although confined to the house some eight weeks, his condition was not considered serious at the time she was called to the bedside of her mother. Mr Gawne left his native land at the early age of 15, and first settled in Oneida,, New York, where be remained about four years, after which he removed to Minnapolis, Minnesota, remaining there until 1893, when he came to Chicago and, engaged in the grocery business, conducting a. very successful business until the Spring of 1914. At that time his health failing him, he sold his business and made an extended trip to the place dearest to him  the Isle of Man  in an effort to recuperate, retiring from business altogether upon his return. One great feature in Mr Gawne's life which stood out clearly and will be remembered by many of his friends was the thought and love he had for his native land and the Manx people, being ever ready and willing to go the full length, whenever the call was given, to assist and take a leading part in any movement that was helpful to his kinfolk at home and abroad. The Chicago Manx Society has lost a valued member. Funeral services were conducted by the Rev A. Stolberg at the late residence, on Thursday, August 16th, the Masonic Imperial Quartette assisting at both residence and grave. Interment took place at Forest Home Cemetery, the Masonic Order conducting the services at the grave. Many friends attended and paid their last tribute to Mr Gawne. Floral pieces sent by various societies and friends were very` beautiful. The chief mourners (in addition to Mrs Gawne) were Mrs Taubman (sister), Mrs Sparrow (sister), Mrs Thomas Gawne (sister), Miss Glades Sparrow (niece), and Mrs Catherine Lee (niece). The pall-bearers were Mr J. C. Shimmin, Mr P. M. Watterson, Capt. Wm. Hudson, Mr John Lace, 'Mr Albert Lee, Mr Carl Lee, Mr H. A. Stacy, and Mr W. B. Misner. The Chicago Manx Society was well represented. A partial list of those present is:  Mr T. Quayle (president), Mr T. Cannell (vice-president), Mr F. Boyd (secretary), Dr T. E. Costain, Mr T. Cleator, Mr C. Kelp-, Mr J. Brew, Mr R. Keig, Lockport ; Mr P. Corkill, Mr Mark Watterson, Mr W. Watterson, Mr T. Cashin, Mr P. Clucas, Mr M. Johnson, Mr T. Christian, Mr D. Gawne, Mr Geo. Taubman, Mrs J. C. Shimmin, Mrs P. Watterson, Mrs John Lace, Mrs T. E. Costain, Mrs Geo. Taubman, Miss K. Corrin, Miss A. Quayle. Mrs Mark Watterson, Mrs W. Hudson, Mrs R. Kneen. An old resident passed away on August 20th in the person of Miss Sarah Cottier, of Albany-road. Along with a younger sister, who survives, she carried on a successful ladies' and children's outfitting business in Prospect-hill, Douglas, and was succeeded by Mr T. H. Cowin. The Misses S. and C. Cottier lived in retirement for many years, and were able to do a good deal of quiet and unostentatious kindness to a large circle. The interment took place at the Borough Cemetery on Thursday, the service being conducted by the Rev A. Haworth, of St. George's Parish. Mr Henry Shimmin, of the Esplanade, Douglas, an old and much respected resident, died at his residence on, Monday, Aug. 13th, his age being 73. Though Mr Shimmin had been in ill-health for a considerable time, his end came rather suddenly. In early life he followed the trade of cabinetmaker, but he subsequently became a car proprietor, and for many years he conducted a livery stable business. He married a Miss Curphey, who predeceased him some years ago. By the older inhabitants of the town, Mrs Shimmin will be well remembered in connection with her conduct of a famous establishment for the sale of sausages and brawn. This business was for many years carried on in modest premises situate in Wellington-street, but was subsequently removed to Prospect Hill. Mrs Shimmin obtained celebrity by no means confined to the Isle of Man for the excellence and high quality of the wares which she so skilfully compounded., The late Mr Shimmin was a gentleman of high intelligence, and was very well-informed, but being of a retiring disposition he never took any active part in public affairs. A member of the Wesleyan Methodist Church, he rendered the Connexion most useful service. He was a class-leader of long standing, and he had held the offices of society steward and poor steward; while he also acted as assistant superintendent of Well-road Sunday-school. The funeral took place on Thursday, and was largely attended. Interment took place at Douglas Borough Cemetery. Mr John Kaneen, of Castleward, died on July 16th. In early life Mr Kaneen owned and farmed Creg-e-Cowin, at the farther end of East Baldwin, when sheep-grazing was a feature with him, and he kept up a connection with this branch to the last. He succeeded the late Mr J. T. Kelly in the tenancy of Castleward, and in the course of years be became owner of the estate, which he farmed very successfully. Mr Kaneen was gifted with a remarkable fluency of speech, but as he never took much prominence in public affairs  excepting as a Parish Commissioner of Braddan  this natural endowment failed to afford the public edification which it might otherwise have done. Mrs Kaneen survives, also a grown-up family of three sons and one daughter. Mr J. T. Southward, of Sulby Woollen Mills, died on August 27th, after a long illness, at the age of 61. He was a man of much ability in various ways, and possessed strong convictions which he faithfully carried out. Mr Southward was a genius. He made himself master of the machinery of the mills, and if anything went wrong he could put it right himself. He could also undertake the setting up of a new and intricate machine that he had never seen before, and do it perfectly. Superintendents from the makers of such machines said he was wasting his time in Sulby. His mechanical bent united itself with musical taste and judgment and he could take a pipe organ to pieces and set it up again. He never served a day as a printer, but he had a nice little printing plant and machine at the mills, and turned out some really creditable jobs  but not for pay. He was a Wesleyan local preacher for forty years. Ho went on the old Methodist lines, but he read for his sermons and thought them out, and was a very interesting and helpful preacher. Outside his work as a preacher, Mr Southward never sought to stand in the public eye. The best testimony of a man's worth often comes from his neighbours and those who come into frequent contact with him; and by this test Mr Southward stands high. Men who do not belong to Mr Southward's church at all say he was the most upright man in the parish, and it is stated that he din hundreds of good turns in a quiet way, and "not for publication." Mr Southward was unassuming, didn't wish to thrust his views on anyone, was ready to listen to others and gather from any knowledge they might have and which he might not possess. He leaves a widow and two sons and a daughter. Mr Robert Creer Cretney, of Lyndhurst, Castletown, died at his residence on Thursday, August 30th, after a protracted illness. The deceased gentleman was appointed manager of the Castletown branch of the Manx Bank when the bank was instituted in 1882, and continued in the position on the taking over of the bank's business first by the Mercantile Bank and subsequently by the Lancashire and Yorkshire Bank. He retained the position until the spring of last year, when he retired on account of indifferent health. About the same time he relinquished the post of hon secretary to the local branch of the Lifeboat Institution, which he held for many years. Mr Cretney manifested the greatest interest in all movements which promoted the general welfare of the town and was in his day a capable member of the Town Commissioners, the School Board, and the Poor Law Guardians; and also a director of the Castletown Gas and Water Companies respectively. A prominent Freemason he filled the office of W.M. on two occasions with distinction. He was identified with various philanthropic agencies and was the valued hon treasurer of several local charities and public bodies. Mr Cretney was a loyal Churchman, and was for a long period a sidesman of St Mary's Government Chapel and secretary to the local section of the C.E.M.S. His father was the late Mr William Cretney, a prominent farmer who for some time cultivated his own land in the parish of Marown. Three of his sisters  Miss Cretney, Derby-road, Douglas, Mrs R. Kelly (widow of the late Mr Robert Kelly, builder, Grosvenor-road, Douglas), and Mrs Quiggin (widow of the late Rev W. Quiggin)  live in the Island. Mr Cretney's wife, who was a sister of Mr T. H. Moore, C.P. (Billown ), and Colonel Moore, H.K. (Great Meadow), predeceased him in 1904. Mr Cretney was of a genial and kindly disposition and well-beloved by all who were acquainted with him. Mr John Christian Cain, builder, of 15 West View, Douglas, died at his residence on October 20th after a somewhat prolonged illness. He had suffered from diabetes, and complications set in. Mr Cain, who was in his sixty-first year, was the third son of the late Mr Robert Cain, builder, West View, and a grandson of Mr Robert Cain, the founder of the building business which was subsequently carried on by his son and grandson. The three generations of builders erected many houses and business premises in Douglas, and were noted for tasteful design and excellent workmanship. They also had a big connection as general joiners. Mr J. C. Cain, after completing his education at the Douglas Grammar School, served part of his time as an engineer, and then entered his father's workshop and mastered the business of a joiner. He was a fine draughtsman and was skilful in the technique of building construction. In his young manhood he was a powerful swimmer and was a founder of the Douglas Swimming Club. His prowess in the water gained for him many prizes. He was, too, an excellent exponent of Rugby football. Over thirty years ago he was a prominent playing member of the Douglas Rugby Football Club, and was noted for a strong forward game. While his health held good, he took a considerable interest in municipal and national politics, but never sought membership of a public body. He leaves a widow and several children. His only son is a lieutenant in the Royal Engineers, and is on active service. The funeral took plate on Wednesday, the religious service being conducted by the Rev H. Williams. Interment was at Braddan Cemetery. Mr Cain, who was rather retiring of disposition, was greatly respected by those people who knew him intimately. Mr Patrick Joseph Rattigan, a certificated teacher in the service of the School Board of Douglas, died unexpectedly at Ramsey on Aug. 27th. Towards the end of last year, Mr Rattigan's health became seriously impaired, and for some months he was unable to fulfil his duties at Hanover-street Board School. In the spring, however, his strength returned in considerable degree, and he resumed his position in the school. His health continued to improve slowly and on Saturday last he proceeded to Ramsey, where he purposed spending part of his holidays. He appeared to be in excellent form on Sunday, and when he retired to rest for the night there was no indication of an approaching change, but early on Monday morning he had a seizure which eventually proved fatal. Dr Sugden, who was called in, ordered his removal to the Ramsey Cottage Hospital, where he received every attention from the medical and nursing staffs, but he passed away without regaining consciousness, at the age of 46. Mr Rattigan, who though of Irish descent was of Lancashire birth, came to Peel from Manchester over twenty years ago to take up a position on the teaching staff of the Clothworkers' School. He remained in Peel two years, and then received an appointment under the Douglas School Board on the Hanover-street School staff, which he retained for the remainder of his days. He was an exceedingly efficient teacher, taking an individual as well as a collective interest in the boys who came under him. A firm believer in the principle of a sound mind in a sound body, he was an enthusiastic advocate of outdoor games and physical culture. When he first came to the Island he joined the Peel Cricket Club and the Peel Association Football Club, and rendered valuable assistance both organisations as a player and other ways. He represented the Peel Club on the Isle of Man Football Association executive, and subsequently represented St. Mary's Club (Douglas and the Old Douglas St Mary's on the governing body of the Association. During connection with the Association  which lasted up to the time of his death  he served for a term as president, and a as treasurer. He was, too, devoted to the good old English game of bowls, and was a member of the committee of the Douglas Bowling Club. He had a distinctly literary bent, and was both widely read and cultured. Taking a great interest in social subjects, he joined the Douglas Debating Society, and was a useful member of the committee of that well-established and exceedingly useful institution. He held rather advanced political views, being a firm believer in and supporter of the aspirations of Labour. During the existence in Douglas of a branch of the Independent Labour Party, he was associated with the branch, and in other directions he sought to promote what he conceived to be true democracy. He joined the Loyal Manx Volunteer Corps (Derby Section) soon after the corps' establishment, and while his health remained good he was most regular and punctual in the discharge of guard duty at the Douglas Detention Camp. Mr Rattigan leaves a widow and one son. The latter  Corporal Laurence  is a motorcycle despatch rider in France. The funeral took place on 31st August, and was, largely attended. After service in St. Mary's Church, the coffin was conveyed to the Douglas Borough Cemetery for interment. The funeral of the late Miss Elizabeth Davidson, Epworth House, Douglas, took place on Oct. 8th, when the attendance demonstrated the high respect and esteem in which the deceased lady was held. Miss Davidson passed away on Thursday, October 4th, after an illness patiently and oven cheerfully endured. She was a member of an old Methodist family in Douglas, and had had a lifelong association with Victoria Street  formerly Thomas Street  Church. She took a great interest in religious work generally, and was particularly active for many years as a class leader. In connection with the funeral, a service was held in Victoria Street Church. The Rev Henry Williams opened the service by reading an appropriate Psalm, and announced the hymn, " O God, our Help in ages past." The Rev R. W. Pickersgill read the New Testament lesson, and then gave out the hymn, " Give me the wings of faith to rise." The Rev J. T. Salisbury delivered an eloquent eulogy of Miss Davidson's life and character. Miss Eleanor Kelly presided at the organ, and rendered the " Dead March " in " Saul." The interment was at Kirk Braddan Cemetery. Amongst the mourners were Masters Alec. and William Davidson, nephews; Mr W. M. Kerruish and Mr J. Qualtrough, H.K. In the course of Mr Salisbury's "appreciation" of deceased, the following remarks were made: Miss Elizabeth Davidson was born in Douglas, and from her earliest years was identified with the Wesleyan Methodist Church. I may say that before her father married he secured a pew in Thomas Street for his bride-elect and himself, and it was the family pew until the restoration of the interior of the church. Even then the same position was retained, and has been ever since. Elizabeth Davidson used to attend the class meeting before her conversion; in fact, all three children joined the society the same time. At a certain renewal of the quarterly tickets of membership. she was questioned about her spiritual condition, and felt distressed that she could not give a satisfactory answer. On the way home, she made up her mind that before the question could again come round she would find a, satisfactory experience to relate. The weeks went on. A few days before the next ticket renewal, and after a week of deepest anxiety, she went down on her knees, in a. meeting at Thomas Street, determined to give herself fully to God and secure the blessings of salvation  and this whether anyone proffered help or not. However, someone went to her in the course of the prayer meeting. and she gladly gave herself to Christ a decision she never regretted. She lived a very consistent Christian life, and was an inspiring example to all. There was something refreshing about her personality. She was full of ideas. Many of her views were pronounced; still she was not stubborn. She could respect others' viewpoints, and graciously give way when no principle was involved : even then she could agree to differ. Her work as class leader for forty years was conspicuously successful. But she was interested in every phase of the work. There was no branch of Christian activity but commanded her sympathetic interest. She entered heartily into the work among the young people  in the Sunday School. Wesley Guild, and the Juvenile Missionary Association. Her attachment to the Church was of the closest. Her brother, the still-lamented Mr J. J. Davidson. used to playfully rally her about this and say that Thomas Street was more to her than it ought to be  that the chapel was more to her than religion! But apart from Thomas Street, she did very valuable work in helping Redfern's Mission on its feet. She secured the bar parlour of the old public-house for a mission-room at the start. She was also Sunday-school teacher for some time at the old Society-lane Mission Room. In her way Miss Davidson was a great reader. She read the live of about every great Methodist character of the old days. During the last eight or nine years she suffered a great deal  indeed, was never entirely free from suffering. Still she did not complain and did not worry. She said it was no use adding worry to pain  the latter being quite enough. " Put them under your feet!" was her advice to the members of her class, with regard to their troubles. She often spoke very calmly and cheerily about death  often told the speaker she was " longing to go " to meet her dear Lord. And now, at the age of 79, she has been taken. Might they all perform life duties as faithfull, meet their troubles as bravely, and face the enemy as smilingly as their departed friend had done! A much respected gentleman, in the person of Mr James C. Murphy, passed away at Cronkbourne Lodge on Friday, Sept. 7th. For over forty years Mr Murphy was head gardener at Cronkbourne, and was renowned throughout the Island for his skill in horticulture. A most kindly and genial man, he was held in high esteem by a large circle of friends. He retired a few years ago, but continued to reside in Cronkbourne Lodge until death overtook him at the age of 71. He leaves a widow and a grown-up family. The funeral took place on Tuesday, and was largely attended. Prayer was offered at Cronkbourne Lodge by the senior curate of Braddan (Rev W. A. Lamb), and the Rev Canon Leece, Vicar of Rushen, announced the hymn, " Peace, perfect peace," which was sung with much feeling. The body was then taken to Braddan Church, where the Rev R. G. C. Can Gregg, M.A., conducted the opening part of the service, and the Rev W. A. Lamb read the lesson. The organist was Miss Rogerson. The committal at the cemetery was read by the Rev W. A. Lamb, who spoke feelingly of the deceased's connection with Kirk Braddan for over forty years. The Oddfellows' form of service was read by their chaplain, which was followed by the Benediction. The chief mourners included Corporal John Murphy (son), Nurse Murphy (daughter), Mrs Wyatt (daughter), Mrs John Murphy, Mr Wyatt, and others. Many wreaths and other floral tributes expressive of regard were sent. Mr John King, who was for many years a chief steward in the Isle of Man Steam Packet Company's service, died, after a somewhat prolonged illness, at his residence, " Ailsa Craig," Strathallan Crescent, Douglas, on December 18th, 1917. His death will be regretted by his large circle of acquaintances in the Isle of Man, and by a still larger number of people resident in the United Kingdom, by thousands of whom he was well known and greatly esteemed. Especially was he a favourite with Scottish passengers, his courteous and cheerful bearing and his kindly consideration endearing him to those Caledonians who were wont to cross to and from the Island by the Ardrossan route. Some years ago he was the recipient from a number of them of a handsome gold watch and chain as a token of their appreciation. He was a native of Douglas, and prior to taking up a seafaring life he served his time as a grocer with the late Mr Richard Roney. Mr Robert Daniel Cowin, an alderman of the Borough of Douglas, died at 4-30 a.m. on Friday, October 19th. The late Alderman Cowin had been in ill-health for about six months, but up to about two months ago he attended to his own business and that of the municipality in his customary zealous fashion. Late in the summer his malady  an internal one  became acute, and he was compelled to lie up. His condition became serious, and its fatal termination came as no surprise. The third son of the late Mr Daniel Cowin, of Lanjahan, Onchan, he was born 69 years ago, and on completing his school career he was apprentices to the bakery-trade. While still a young man he became a master baker and carried on business for a number of years in premises at the junction of Church-street and Lord-street. Forty years ago he removed to premises at the corner of Hill-street and Prospect-hill, and subsequently transferred his headquarters to the building almost opposite at the corner of Prospect-hill and Finch-road, where he remained to the end, though he simultaneously conducted branch businesses at the foot of Prospect-hill and in Broadway. His trade operations were extensive, and in normal times he was a large employer of labour. He always took a great interest in agriculture and gardening. For a considerable time he engaged in farming at Jurby and also cultivated land on the Ballakermeen Estate and Farrant's Estate, near Douglas. Another of his ventures consisted in the Tennis Gardens, Alexander-road, now for the most part built upon. Alderman Cowin was one of the promoters of the Injebreck Hotel and Grounds Company which some thirty years ago acquired the estate of Injebreck, and for a brief period conducted it as a pleasure resort. The venture, however, proved unremunerative, and eventually the company, of which Mr Cowin was a director, collapsed. Along with Mr Alexander Gill and Mr J. A. Brown, he built considerable property on the Twemlow Yard Estate, now the site of Peveril Buildings; but in this undertaking he also failed to achieve any marked success. From his youth onwards Alderman Cowin took a great interest in public affairs. In 1887 he was elected a member of the Board of Douglas Town Commissioners, and retained the position until the passing of the Municipal Corporation Act  1896  when he was a candidate in Hills Ward for election to the newly constituted Town Council. He was defeated after a memorable contest, and remained outside the Council until 1904, when he was returned as one of the members for Hills Ward, his membership continuing until his death. In 1913 he was appointed an Alderman of Douglas and in the following year he filled the office of Deputy-Mayor during Councillor Flinn's mayoralty. In the year 1895-96 he was chairman or the old Board of Commissioners. In the course of his municipal service he was at one time or other chairman of all the important standing committees of the Council, and was generally one of the most indefatigable members, He was a warm supporter of the Town Improvement scheme, and was largely instrumental in securing its adoption. When the Kerroo Dhoo reservoir scheme was under consideration he firmly though unsuccessfully opposed it, holding along with the late Mr Daniel Cregeen, C.E. , that the best interests of Douglas would be served by constructing a reservoir at Injebreck. This opposition was justified by events, as a few years later the irregularity of water supply became so marked that the Corporation were compelled to adopt the Injebreck scheme the completion of which has had such beneficial results. Alderman Cowin was also responsible in large measure for bringing about the construction of Upper Douglas Cable Tramway, and prior to this he was one of the promoters of the bus service which for a time was a means of communication between the upper and lower towns. Throughout his municipal career he was on the side of progress, and bore an influential part in promoting the advancement of Douglas as a seaside and health resort. He was a most excellent debater, and was constant and fearless in his advocacy of measures which he believed were calculated to promote the welfare of the town. In his advocacy he was not always considerate of the feelings of opponents, but on the other hand he took the hard knocks which were given him in sportsmanlike fashion and never retained animosity. Always he was a hard worker, and never spared himself whether striving for the advancement of his own business or for that of the Douglas community. He had a lifelong association with the Primitive Methodist body, but his religious views were broad and tolerant. Alderman Cowin married the eldest daughter of the late Mr William Callister, Quints, Douglas. Mrs Cowin survives her husband, along with a family consisting of two sons and three daughters. The funeral took place on Monday morning. There was a large and representative attendance, members of all the local bodies of Douglas being present to pay the last tributes of respect to a patriotic citizen. The funeral procession left Mayville, Alexander-drive, Douglas, the deceased Alderman's residence, at 11 a.m. Preceding the hearse was a carriage containing the Rev Canon R. D. Kermode, vicar of St George's, Douglas. The chief mourners were Messrs Thomas and Robert Cowin (sons of the deceased), Messrs F. R. Grundy, H. G. Callister, and W. H. Bell. The interment was at the Borough Cemetery, where the funeral service was conducted by the Rev Canon Kermode. Within the short period of one month, death has claimed two members of the Douglas Aldermanic bench. It is only three weeks ago that Alderman Robert D. Cowin passed away, and now it is our sad duty to record that Alderman Robert Moore has gone over to the Great Majority. About two years ago Alderman Moore took up a position at the Enemy Alien Detention Camp, Knockaloe, and he was engaged in the duties attaching to the position when he was taken seriously ill. The doctors called in diagnosed appendicitis, and at their suggestion the patient was removed to Noble's Hospital, Douglas. His condition upon admission was very grave, and he gradually sank until death came to him, just after midday on Thursday, November 8th. Alderman Moore was born 63 years ago, and spent a portion of his boyhood in the parish of Patrick. Early in life, however, he came with his family to Douglas and remained in the town until he attained to manhood. About 40 years ago he joined the Liverpool Police Force, but he resigned after a brief spell of service, and returned to Douglas, where he commenced business as a livery stable keeper and furniture remover. In these capacities he had a considerable connection, and was noted for the excellence of his horseflesh and the stylish character of his conveyances. He was. indeed, a. very fine judge of a horse, and had a well-deserved reputation as a skilful breaker of these useful animals. Some 20 years ago he gave up the business and devoted himself to public life. He was elected a, member of the Douglas Town Council as one of the representatives of Derby Ward in March, 1896, at a bye-election arising out of the appointment of Aldermen, and he retained his membership without break until death. On two occasions he had to fight his seat in Derby Ward, but on each occasion he came out top of the poll. In November, 1910, he was appointed by the Council as an Alderman of Douglas, and he always justified the honour thus conferred, upon him. In the course of his membership of the Town Council he filled the position of chairman of the following committees :  Water Committee, Stores Committee, and Promenades Committee, and he was also a member of the Tramways Committee. He was a ready speaker, and particularly did he excel as a platform orator  he had few equals in the art of addressing an election meeting. For several years, Alderman Moore took an active part in the exhibitions held by the Isle of Man Agricultural Society, and he frequently showed in the horse section. He was one of the founders of the Douglas and Isle of Man Dog and Poultry Society, and frequently acted as a steward at the exhibitions which, prior to the war, were a New Year's Day feature in Douglas. He married Miss Stephens, a greatly respected lady, who for many years past has conducted a large and famous millinery business in Strand-street, Douglas, and who survives him. There were four children of the marriage  two sons and two daughters. One of the sons died about a year ago as the result of wounds sustained while serving with the British Army during the present war; while the other, who survives, was invalided out of the army after being severely wounded. Of the two daughters, the elder is married and resides in England, and the younger is at home. Alderman Moore has one brother surviving  Mr W. J. Moore, Inspector under the Douglas Board of Guardians. Mr John Alexander Gelling, pharmaceutical chemist, Douglas, died after a somewhat long and painful illness. on Friday, November 30th. 1917. The eldest son of the late Mr W. P. Gelling, tobacco manufacturer, Douglas, Mr J. A. Gelling was born in Douglas just 51 years ago, and was reared and educated in the town. He served his apprenticeship as a pharmaceutical chemist with Mr A. C. Paterson, Victoria-street, and soon after completing his time he set up in business, on his own account in Victoria-street. Subsequently he removed to Broadway, where he was joined as a partner by his brother, Mr W. Clucas Gelling. The firm have conducted the Broadway business and a branch on the Crescent for several years past. In Oct 1915, Mr J. A. Gelling was co-opted a member of the Douglas Town Council as one of the representatives of Murray's Ward, and only last month be was appointed chairman of the Works Committee of the Council. Some years ago Mr Gelling, by the death of an uncle, inherited considerable landed property in the parish of Marown. He leaves a widow, who prior to her marriage with him was Miss Emerson. There are three children of the marriage, none of whom are over school age. One of the late Mr Gelling's brothers is Mr R. D. Gelling, Secretary of the House of Keys, while another is a farmer in New Zealand. Mr Gelling's death makes the third which has taken place among the personnel of the Douglas Town Council within six weeks, the other two being those of Alderman Cowin and Alderman Moore. In his Youth Mr Gelling was one of the finest exponents of the Rugby game of football in the Isle of Man. General regret is experienced throughout the Island at the death of Mr Thomas H. Handley, who for considerably over thirty years had been outdoor representative of the well-known firm of Okell and Son, brewers, Douglas, On Dec. 12th, 1917, Mr Handley drove to Peel and there transacted business for his firm. Returning to Douglas early in the afternoon, he was ascending the steps leading to the head office of the Isle of Man Banking Company when be had a seizure and collapsed. He was assisted into the bank and was quickly attended by Dr. Pantin, under whose care he regained consciousness, but lost it again in the course of conveyance to his residence, Park-avenue, in the doctor's motorcar. Soon after reaching home be passed away. Though he remained in harness to the very end, Mr Handley had been in an unsatisfactory state of health for some time, and quite recently be consulted an eminent specialist as to his condition. Mr Handley had the well-deserved reputation of being an upright and exceedingly able man of business, and he was highly respected not only by his firm and customers, but by the general public. He was formerly chairman of the Falcon Hotel Company and the Bowling Green Hotel Company, and he was also connected with other commercial concerns in the Island. He leaves a widow, who prior to her marriage to hire was Miss Fadyen. Of the five children of the marriage, the elder son, Capt. Laurie Handley, is serving with the British forces in East Africa, while the younger, Lieut. T. Handley, is with the Cheshire Regiment. The eldest daughter is the wife of Lieut. P. D. Kissack (Cheshires), and two other daughters are unmarried. Mr Handley, who was 54 years old, achieved considerable fame as an athlete during the days of his youth. On several occasions he won the Manx Bowling Championship  indeed he was without doubt one of the finest trundlers in the British Isles. As a roller skater he was unequalled for speed in the Island, and he attained distinction both as a racing cyclist and as a sprinter on the running path. On St Stephen's Day, Dec. 26th, 1917, Mr John Kelly, of Christian Road, a member of the Douglas Town Council and one of the Guardians of the Poor of Douglas, died unexpectedly. Up to Christmas Eve (Monday) Councillor Kelly, notwithstanding indifferent health, was engaged in making arrangements connected with the distribution among deserving members of the Douglas Foresters' Court of the funds arising from a recent social effort promoted by the Court, and in organising the Christmas Day hotpots. In both these excellent movements Councillor Kelly took an absorbing interest, and took upon himself the greater portion of the work associated with them. His labours were arduous and exacting of character, and it is to be feared they told adversely upon a somewhat enfeebled constitution. On Christmas Day he became so ill that Dr. Woods, his medical attendant, was called in. An apparent change for the better on Wednesday raised hopes in Mrs Kelly, but the improvement was but temporary, and shortly afterwards he passed away. Councillor Kelly, who was 69 years old, was in early life a grocer, but he abandoned the business many years ago. For a long period he in conjunction with his wife carried on a boarding-house in Christian-road, and had a considerable connection. He was a successful gardener, and was famous for the variety and quality of the produce he extracted from mother earth. An enthusiastic sportsman, he during such spare time as he could find was frequently out with dog and gun, and he was an authority upon the feathered and furred fauna of the Island. His energies, however, were mainly devoted to work in connection with the Foresters' Court, of which he was treasurer for twenty-five years, and to poor relief work. For several years he was a Guardian of the Douglas Poor, and he was chairman of the board last year. In November, 1913, he was elected to the Douglas Town Council as one of the representatives of Derby Ward, and though he seldom took much part in discussion at board meetings he rendered most useful service on committees. He was one of the founders of the Douglas and Isle of Man Dog and Poultry Society, and while the society's New Year Day shows were held he was very prominent in the management of the functions. Councillor Kelly's death is the fourth that has taken place among the personnel of the Town Council within three months. WM. C. LACE and JOHN LACE. The death took place on 31st December, of Mr John Lace, of Derbyhaven, who was for nearly forty years manager of the now dormant copper mines at Langness. His wife and three children, one of whom is in the army, survive him. He was 74 years of age. On the following day Mr Lace's brother, Mr William Clucas Lace, passed away at the residence of his son-in-law and daughter, Mr and Mrs C. Henry Clague, of Port St Mary, aged 79 years. He was also a miner, and worked at Foxdale in its palmy days. His wife survives. Mr J. Lace was interred at Marown Churchyard on 3rd January, and Mr W. C. Lace, in the same churchyard on the 4th. These gentlemen were brothers of Mr Richard Lace, F.R.S., F.R.G.S., schoolmaster (Santon), Mr Thomas L. Lace, J.P. (Wigan), Mr Benjamin Lace (Wigan), Mrs Kennaugh (Nunnery View, Douglas), and Mr Moses Lace (of Douglas). The death occurred on Nov. 23rd, 1917, of last week of Mr Thomas Lilley, plasterer, of Bank-street, Castletown, after an illness of brief duration. The deceased gentleman was not a native of the Island, but he had worked at his trade, in Ramsey and Castletown for many years part, and was considered an exceptionally capable craftsman. He took great interest in the Labour movement, and in social and political matters. For some time he was secretary of the Isle of Man Plasterers' Union. He held pronounced views on many subjects, and was a determined opponent of compulsory vaccination, as a protest against which he went on one occasion to prison. Mr Lilley possessed considerable mechanical ingenuity, and in this connection he submitted for the consideration of the authorities a scheme for so utilising the tidal currents as to create an enormous amount of power. Mr John Quirk Cannell, of Ballacarnane, Captain of the Parish of Michael, died at his residence on 14th January. For some time his condition of health had been unsatisfactory, but did not become serious until about a fortnight before death. Mr Cannell gradually sank, and by the end of last week his family realised that the end was not far distant. The deceased gentleman, who was born about 63 years ago, was the head of a very old Manx family  the Cannells of Ballacarnane. His father was the late Mr John Cannell, one of the best-known men in the Island in his day, and a notable Wesleyan Methodist local preacher. Mr J. Q. Cannell succeeded his father in Ballacarnane, and he farmed successfully not only at Ballacarnane, but also at Berk, and later at Little London; indeed, he was one of the largest and wealthiest landowners in the Island. In addition to his occupation as an agriculturist, the late Mr Cannell was a Government valuer under the Assessment Board; and an inspector in connection with the Sheep Scab Act. He was also a member of the Common Lands Board. Though he had been on several occasions approached to stand for election to the House of Keys, Mr Cannell never consented to enter the political arena. He was, however, keenly interested in public affairs, especially education. He was a member of the Michael School Board, and a member of the Higher Education Board of the Eastern District. In February, 1899, he was appointed Captain of the Parish of Michael. The late Mr Cannell was held in high esteem and respect by all who knew him. He was twice married, his first wife being a daughter of the late Mr Richard Cowley, of Cronkbane, German. She died many years ago, and later he married a sister of his deceased wife. He leaves a widow and a grown-up family of four sons and one daughter. The funeral of the late Mr J. Q. Cannell, C.P., of Ballacarnane, Michael, took place on Thursday afternoon. Not only the parishioners attended in large number, but there were gentlemen present from Douglas, Peel, Ramsey, and other centres. Amongst them were Mr E. J. Curphey, H.K., Mr A. Christian, H.K., Mr J. D. Clucas, C.P., Mr A. Robertson (Town Clerk), &c. The procession into the village was headed by the scholars of Michael Board School. in charge of their teachers. The cortege arrived at the church at three o'clock, and the sacred building was well filled. The Vicar (Rev H. T. Devall) conducted the service in a very impressive manner. The chief mourners were: Messrs John, Willie, and Richard Cannell (sons) ; Miss Annie Cannell (daughter); Mr John and Miss A. Brew (nephew and niece); Mr Richard Cowley and Mr James Cowley (brothers-in-law). It will be learned with regret that the Rev Samuel R. Wilkin, superintendent of Carnarvon Wesleyan Circuit, died with tragic suddenness on 16th February. He was to preach at Bangor on Sunday, and had arrived in readiness for his appointment on the previous afternoon, but collapsed immediately on his arrival at the home of his host, and died before medical aid could be summoned. The rev gentleman was superintendent minister of the Castletown circuit from 1907 to 1910. He was instrumental in raising funds to liquidate the debts on several of the circuit chapels; and he was a good preacher, and exceedingly popular. Mr Wilkin entered the ministry in 1872, and was in his 69th year. After leaving Castletown, he fulfilled a successful ministry of six years at Forndale, in South Wales. Mr Wilkin leaves a widow, son, and two daughters, with whom much sympathy is felt. Mr Thomas Allen, J.P., died at his Maughold residence on the 17th January. Mr Allen, who was one of the best-known and most highly respected gentlemen in the Isle of Man, was formerly senior partner in the well-known Ramsey firm of Allen and Taubman. For several years he was one of the representatives of Ayre Sheading in the House of Keys, and otherwise he took a great interest in Manx public affairs. His son, Mr R. E. Allen, a promising young member of the Manx Bar, enlisted soon after the outbreak of war, and was subsequently killed in action. Early in February there passed away one of the oldest inhabitants of Lower Foxdale in the person of Mr John Callister (builder). As a young man Mr Callister worked for some time in Liverpool, and then returned to his native village where he set up in business. He was the builder of most of the newer houses in Foxdale, and was responsible for the following buildings there: St Paul's Church and Vicarage, Lower Foxdale Mission Room, the Boys' Board School, Lower Foxdale Wesleyan Chapel, also Ballamoda Wesleyan Chapel and School. Before the steam threshing-mill was much in evidence, and while the farmers in many instances used the " flail " to thresh their corn, Mr Callister made and set to work a number of threshing-mills worked by horsepower. He was endowed with considerable musical talent, and before the harmonium and organ were much used in country chapels, he used to lead the singing with his clarionet or violin, and often helped with other self-taught musicians of the old type at Sunday-school anniversaries, having played at as many as sixteen places in the season. He along with others collected funds and provided the first harmonium for the old chapel at Foxdale, which instrument he played for a number of years. He became a member of the Wesleyan Church at an early age, and served as superintendent of the Sunday-school and as a class-leader for many years, and was a regular attendant at the various services of the church of his choice, until through infirmities, he was not able to take part. He was laid to rest in the quiet little churchyard at St Paul's, Foxdale, on Sunday. The service was conducted in the Lower Foxdale Wesleyan Church by the Rev J. W. Haswell. The beautiful singing of the hymns by the large number of neighbours and friends was a fitting tribute to one who had led the singing for many years in the same old place. Miss E. Shimmin feelingly played the Dead March (in "Saul "). Members of the Peel Rechabite Tent acted as bearers, and Mr J. Quirk, of Peel, conducted the Rechabite order of service at. the graveside. Mr Henry Corteen, one of the oldest residents in Douglas, died at the residence of his daughter (Mrs Hampton, Buck's-road) on Wednesday, April 3rd. A member of a well-known Manx family, the Corteens of Ballashoghlaigue, family, Henry Corteen was born in Kirk Maughold in the earlier half of the last century. While a boy he was, apprenticed to a cabinet-maker in Douglas, and after serving his time he worked for a period as a journeyman in Leeds and Bradford. Subsequently he returned to Douglas and set up in business on his own account, and later on he was a foreman in the employ of the late Mr W. Spence. About 20 years ago his sight completely failed him, but he otherwise had good health and was able to get about without assistance up to a week ago. Mr Corteen was a most skilful craftsman. He was very well-read and unusually well-informed upon general subjects, and particularly upon matters relating to the Isle of Man. He was twice married and leaves a widow. He is survived by four sons and three daughters. The sons are Messrs R. S. Corteen, John Corteen, Harry Corteen, and Herbert Corteen, of Douglas; and three daughters are Mrs Hampton, Mrs Green, and Mrs Christian, the two last named being resident in Liverpool.